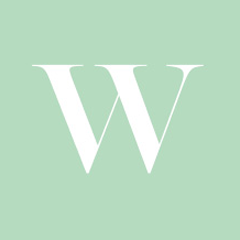 West Hill Capital LLP is an appointed representative of West Hill Corporate Finance Limited, which is authorised and regulated by the Financial Conduct Authority. This website is directed exclusively at and intended to be used only by persons in the UK that are Professional Investors and/or other exempted persons under the Financial Services and Markets Act 2000 (“FSMA”). Other persons should not use, rely on or act upon its content in any circumstances. The material on this website is for general information only and should not be regarded as constituting an offer or a solicitation to buy or sell any securities. It is expressly understood that nothing on this website constitutes investment advice. If you require investment advice you should contact a professional adviser. Investment in private companies carries a high degree of risk. It is highly speculative and there is no recognised market for these shares. Investors in private companies must have no need for liquidity and must be able to withstand a total loss of investment. Past performance is not an indication of future performance and investments may go down as well as up. The level of tax treatment depends on your individual circumstance. Tax breaks exist under current legislation and are subject to change. We do not provide tax advice and nothing here should be construed as such. We recommend that you obtain your own independent tax and legal advice tailored to your individual circumstances. The information on this website is directed at UK residents and the distribution of the information on this website may be restrictd by law in certain jurisdictions. Persons not resident in the UK should inform themselves and comply with any such restrictions. We will hold any information provided to us through the website in confidence in accordance with the Data Protection Act 1998. The entire content of this website is subject to copyright with all rights reserved. You may not copy, reproduce, distribute, transmit (by electronic means or otherwise) or modify the contents in whole or in part without our written permission. West Hill Capital LLP. Registered office: Passer Chevern & Co, 5 Spring Villa Road Edgware HA8 7EB. Registered in England & Wales No. OC388745. FCA: 612467.